Vermiculite bricks are a service item, they withstand extraordinary temperatures and will protect your stove but much like the rubber wheels on your car are susceptible to damage and will eventually perish. Why do I need fire bricks? 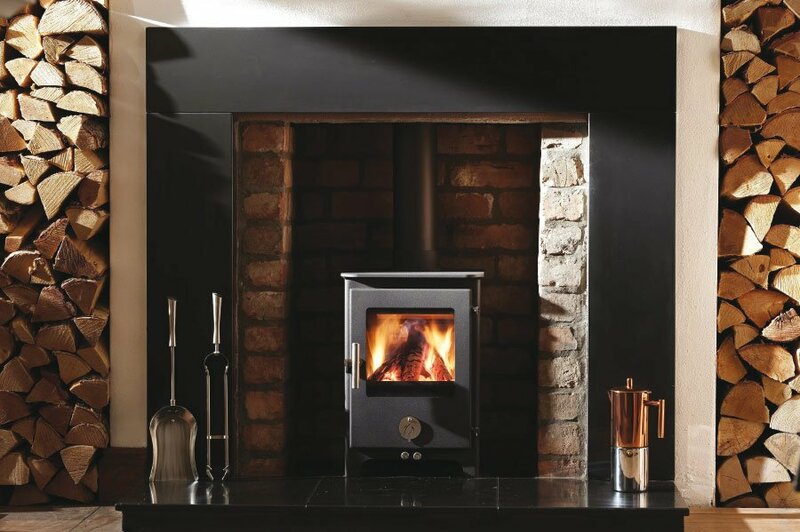 They are fitted to the stove for insulation purposes, allowing your stove to burn efficently but also acting as a heat barrier and preventing the flame from reaching the steel stove walls. When should I replace my fire bricks? A hairline crack in the brick will not damage your stove. Replace the brick if either the crack causes the brick to fall down or if you can see the steel body of the stove through the crack. It is advisable not to light your stove if the steel is visible. If your throat plate brick has fallen down don’t use your stove as it will distort the throat plate. Once you notice crumbling you should replace the bricks. How can I make my bricks last longer? Vermiculite bricks are cut from a pressed board. They is common misunderstanding that they are fired ceramic brick or a quarried stone. This is not true. Vermiculite is a naturally occurring mineral formed into board and then cut into shapes. Not only does it work hard during its lifetime but when you have finished with it you can put it on your garden and it will degrade in to the soil. It an aluminium-iron-magnesium silicate. Signs to look for to see if you need new fire bricks? Cracks are caused by impact or vibration, often simply a log/solid fuel thrown in a little roughly or the door squeezed shut on an oversized log. Crumbling on the edges or corners is a sign that the vermiculite is beginning to degrade and is ready to be replaced. How long it lasts will depend on how much the stove is used, under average seasonal evening usage this will usually be years. Pinking, if the bricks change to a noticeable pink shade this is sign that the stove has been over-fired, or burnt at excessive temperatures for a prolonged period of time. One of my fire bricks is broken/damaged. Should I replace a single fire brick or the whole set? It is easy to damage a neighbouring fire brick during the process of replacement. It is easier to have spare fire bricks to hand, rather than having to wait for a re-order to arrive. They can be stored for future use when required. When ordering a set of fire bricks, only replace the one that has broken, not the whole set. Keep the rest in store for future replacements. It is usually cheaper to buy fire bricks in sets rather than on their own. The postage and packing can be the same for a single or a set. Bricks are available on their own, should you wish to only purchase a single replacement brick. How to replace a fire brick?